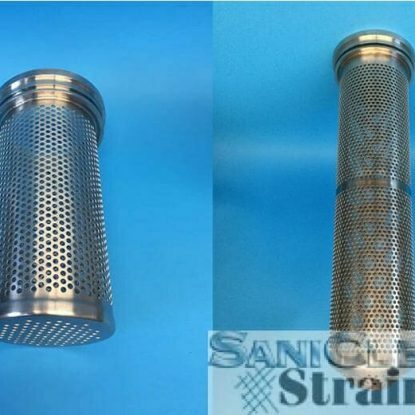 Perforated Strainer Baskets for either the #863 or #450 Strainer/Filter Housings. ‘Standard’ perforated basket has ¼” dia. holes. 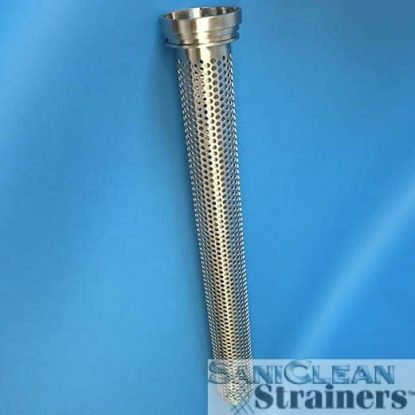 Perforated Strainer Basket is fitted with a heavy machined flange. Machined flange allows for a O-Ring seal between the OD of the basket and the ID of the strainer housing. The ID of the machined flange is machined to accept a Quick Release Handle. #450 Perforated Strainer Baskets are available with a ‘Flat” bottom only. All welds are ground smooth and blended. Entire Strainer Basket is polished to 25 Ra.